Jacob came to our home in June as our first and only foster child. 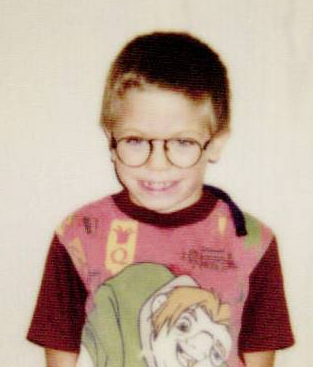 He was four at the time and turned five within a few weeks. Fostering towards adoption presented many challenges for Jacob and all family members. He had not been reared in a home where there were any rules, so we spent a lot of time helping him adjust to his new environment. He also had to get used to being part of a family and how to integrate with four older siblings. 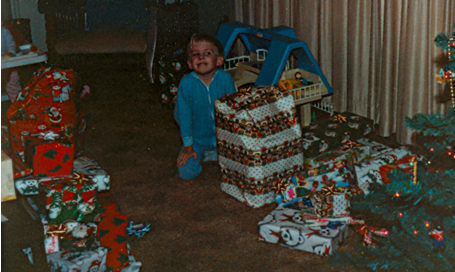 As the Christmas season approached, we could tell that this was a new experience for this small boy. We got the feeling that he had never decorated a tree, hung a stocking, or participated in any Christmas traditions. It had been a while since my wife and I witnessed the majesty of Christmas through the eyes of a child having his first experience. As is our tradition, on Christmas Eve we had our Christmas family night. We start with me reading from Luke 2 as the kids dress up and act out their parts. Of course, it wouldn’t be a Heiss family night if there weren’t tears. Emily wanted to be an angel but Sarah was already dressed in the the angel costume. Besides, Emily was a sheep last year. After surviving our tumultuous Christmas play, we calmed down the tribe by reading The Night before Christmas and How the Grinch Stole Christmas. Next, the kids had to choose their spot for opening gifts. Finally we placed a plate of cookies out for Santa. Having just watched Rudolf the Red-Nosed Reindeer, our younger children wanted to leave food for the reindeer as well. So we added celery of carrots to the plate. Before sending them to bed, knowing they would not get much sleep anyway, we reminded the kids of the Christmas morning rules. No one could come upstairs until I got them. That was the important rule. At last, Christmas morning arrived and it was time for me to get the kids. They had been up for hours begging to come upstairs. (I receive a certain satisfaction in prolonging the agony of my poor children.) As I led them into the living room to see what Santa had left them, the house was filled with the standards shrieks of excitement as each child ran to their reserved spot to discover that, in spite of my frequent warnings, they had indeed been good all year – well, good enough. But Jacob seemed unsure. He could see that there were gifts at his spot but he didn’t know what to do. So, we told him that these were the gifts Santa had brought him. His face beamed. Sure, he had heard of Santa. But this was the first time that jolly old elf had brought him a present. Quickly, Jacob joined in the shrieking. 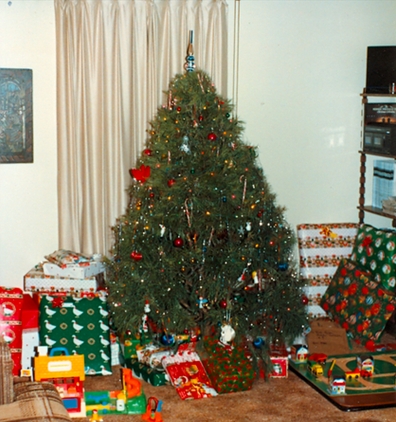 After completing the Santa portion of Christmas, I distributed the remaining gifts from under the tree to their intended recipients. Again, Jacob sat in his spot looking totally perplexed. Soon he was surrounded by a pile of wrapped presents. Because he was the youngest, he had to open his gifts first. He had no idea what to do. We explained that he simply had to remove the wrapping from the gifts. We assured him that all of these gifts were his. We all had a great laugh at his exquisite joy over a common pair of socks. But after opening his first gift, he stopped. I explained that he had other gifts remaining in his pile. He finally got it. All these gifts were his! Since then, we have integrated the phrase: ” Just what I always wanted!” into all future Christmases in honor of Jacob’s first Christmas. 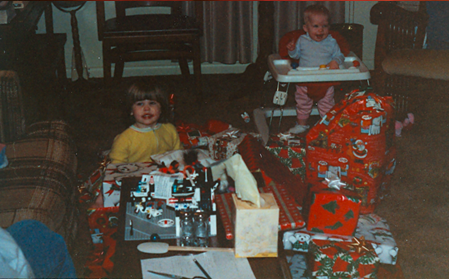 But our family still vividly remembers the pure joy of young boy having his very first Christmas of his life.